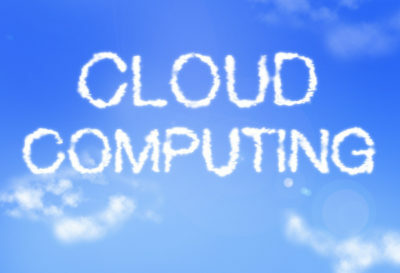 "The Cloud" used to be a fairly prevalent buzzword about storing, managing and accessing files and information. For people outside of information technology, it took on an almost mythical connotation. Today, now that people are familiar with what exactly the cloud is, it's no longer just a buzzword, but an actual concrete method of securing the safety of your company's most sensitive information. In this post, we'll break down the four main ways to integrate cloud solutions into your information technology. But first, let's talk about some of the benefits cloud solutions can have for your organization. Scalability - The infrastructure of a cloud solution can expand and grow with your organization. Accessibility - Those who use cloud solutions enjoy the ability to access their information from almost any internet-connected device. Cost-effective - You can avoid paying for expensive servers and equipment through cloud solutions, which uses remote resources. Streamlined - Cloud service providers will handle everything on the backend, so you don't have to worry about dealing with the infrastructure. Control choices - There are multiple options in terms of which cloud solution you want, which we'll get into now. IaaS is when you completely outsource the cloud solution. It is considered the lowest level of cloud solution. Whoever provides your organization with IaaS, they will provide you with either pre-installed hardware or software, which will be through a virtualized interface. Examples of IaaS offerings are managed hosting and development environments. For a more advanced option than IaaS, but with similar overall functionality, PaaS is a good option. In addition to providing infrastructure, the integration also includes a computing platform within the service. When it comes to the IT infrastructure, you'll receive such features as a graphic user interface, run-time system libraries, programming languages, or an operating system. Typically, PaaS services are mostly used by companies that need to develop, test, and deploy cloud solutions for a particular application. SaaS cloud integration is common amongst mid-size organizations. SaaS providers provide fully functioning web-based applications on demand to customers, helping to increase the efficiency of an organization. The applications are mainly targeted at business users and can include web conferencing, ERP, CRM, time management, project tracking, email, and more. There has been an increase in companies installing RaaS within their operations. Due to the large amount of information and data any given organization works with, it is paramount that they can recover, archive, and protect their servers, data, and data centers. Recovery services allow for just that, as these solution providers help companies archive information in a single, integrated platform. On top of this, they will also aid in disaster recovery. At Medicus IT, we advise practices on how to establish secure and HIPAA compliant IT solutions. Our goal for your organization: increase the efficiency and stability of your IT operations. We begin by forming relationships where the foundation is transparency. From there, we focus on doing the right thing at every step by developing a team of expert technicians dedicated to making IT support simple, ultimately giving you confidence that you are compliant. Our service experience is unparalleled in the healthcare industry, and client satisfaction drives every decision.